Even though many gamers will look at the specs and brush them off as not significantly better than an i7-8700k, the Xeon E-2100 is aimed at productivity and security. One of the key differentiating factors is support for Intel’s Software Guard Extensions (SGX). Secure enclaves allow full encryption of data in memory and during transfers across busses to prevent any outside observation by malicious software. Knowing that businesses only upgrade every few years, Intel is claiming close to a 50% performance increase compared to Xeon CPUs from four years ago and a 39% increase compared to previous generation designs. 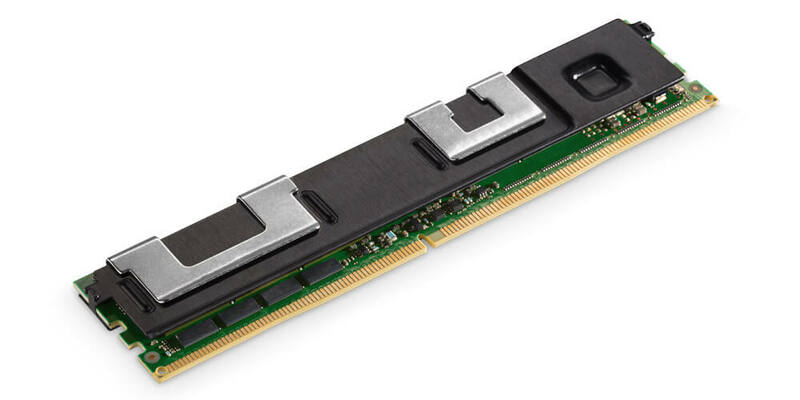 One of the major changes coming is support for 128GB of DDR4 2666MHz memory, up from 64GB. UEFI updates will be required in Q1 2019 to enable support for additional memory. Xeon E processors are intended for use in single-socket boards. Configurations with up to 6 cores and 12 threads are available with clock speeds reaching 4.7GHz with Turbo Boost 2.0. Moving on to Intel’s next generation Xeon Scalable Processors, Cascade Lake Advanced Performance is intended to run extremely demanding workloads. Arriving as a dual-socket platform, Cascade Lake AP features up to 48 cores per CPU each with 12 channels of DDR4 memory. In Linpack benchmarks demonstrating floating point computations, Cascade Lake AP processors are said to outperform AMD's Epyc 7601 over threefold. Even though this is a result carefully picked by Intel, it does show compelling reasons why certain users should upgrade to newer platforms. Perhaps the better comparison is to the Xeon Scalable 8180, where Cascade Lake AP only shows a 21% increase. For deep learning inferences, a 17x performance increase is shown over Intel’s own Xeon Platinum processors. In high performance computing, storage is still critical. Both the Xeon E-series and Cascade Lake AP support Optane DC persistent memory. Intel has been shipping its storage modules since August in 128GB, 256GB and 512GB capacities that insert into DIMM slots. Although still not quite as fast as DRAM, persistence has shown to improve overall uptime of systems and offers significantly greater performance in certain situations. In Apache Cassandra, Intel has demonstrated that up to 11 times more users per system is possible when using Optane DC compared to systems using only DRAM and NVME solid state drives. Running Spark SQL also showed an 8x improvement with Optane when operating with 2.6TB of persistent storage. The Intel Xeon E-2100 is available as of today, while Cascade Lake Advanced Performance processors will arrive during the first half of 2019.